Several years ago, we counted down the top six best fusion monsters in Yu-Gi-Oh, but dueling has greatly evolved since those days, and it's time for a fresh review. 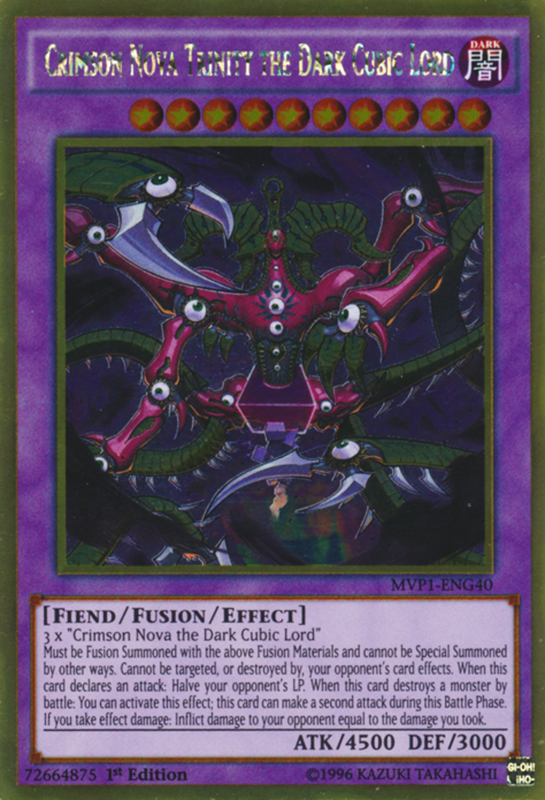 Fusion monsters are the original extra deck cards, handy since they're available throughout the entire duel without having to be drawn. They wield high battle stats and awesome effects for the price of being resource-taxing; most fusion monsters require two or more monsters from the hand/field as material plus a fusion spell to initiate their summon. 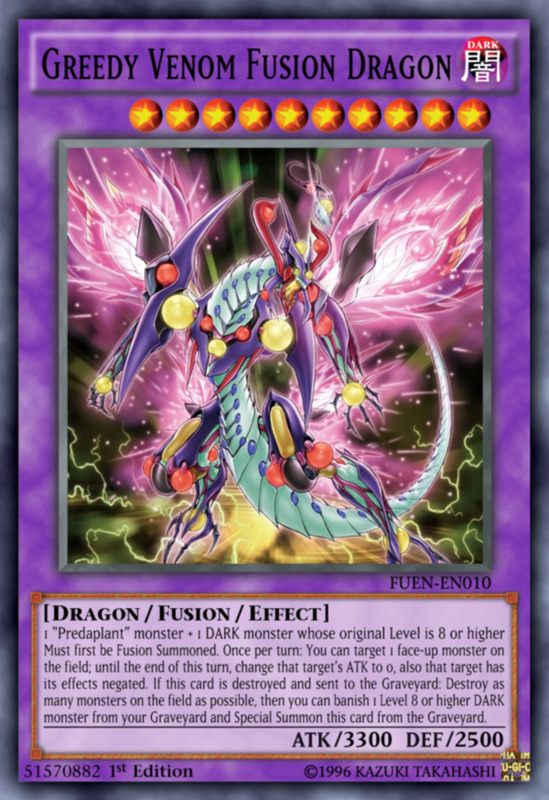 Some fusion monsters demand specific cards before they offer their services; others accept any monsters of a particular level, type, attribute, or archetype. But with hundreds of powerful intertwined warriors, which titans reign supreme? 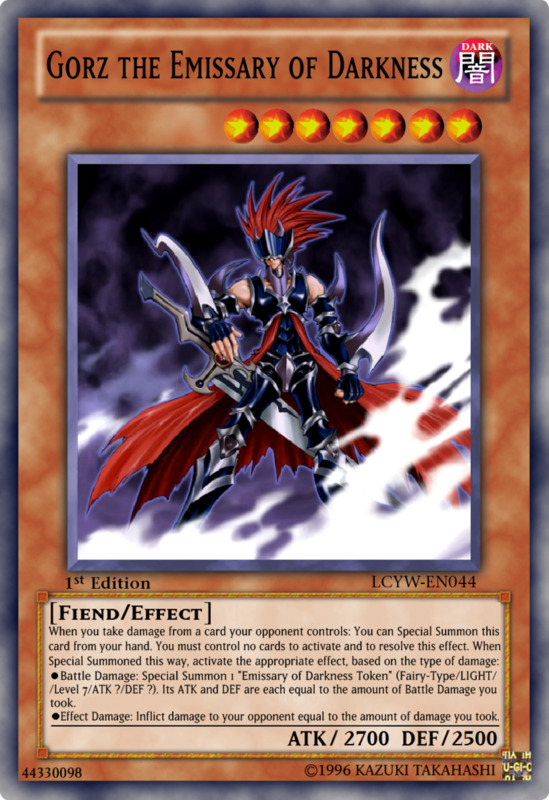 Factoring in ATK, DEF, effects, and ease of summoning, these are the ten best fusion monsters in Yu-Gi-Oh! Fans of the Arc-V anime may know that Supreme King Dragon Starving Venom belongs to two powerful monster series (Supreme King and Starving Venom), qualifying for several name-dependent abilities. Better yet, it brandishes a fierce 2800 ATK and accepts any two dark-attributed pendulum monsters as material, a particularly easy summon condition that lets you fuse numerous combatants. Additionally, you can tribute the materials from your field to summon it—without needing Polymerization or other fusion spells. Once out, Starving Venom lets you (once per turn) target a monster on the field or graveyard; until the end phase, Starving Venom takes its name and gains its effects, and for the rest of the turn, all your monsters inflict piercing combat damage to defense position monsters. This incredible effects boosts your entire team and grants Starving new abilities, and for these reasons, it's currently banned in official play. Don't worry, though—none of today's other entries are (as of this writing) forbidden or even limited, so feel free to include as many copies as you like in your deck! Like our last card, D/D/D Flame High King Genghis brandishes a formidable 2800 ATK, but he's also packing a hearty 2400 DEF when the need arises. He's also pretty easy to summon, accepting any level 5 or higher D/D monster alongside any D/D at all. Remember, all D/D/D units count as D/Ds, letting the entire archetype serve as fodder for Genghis's casting. 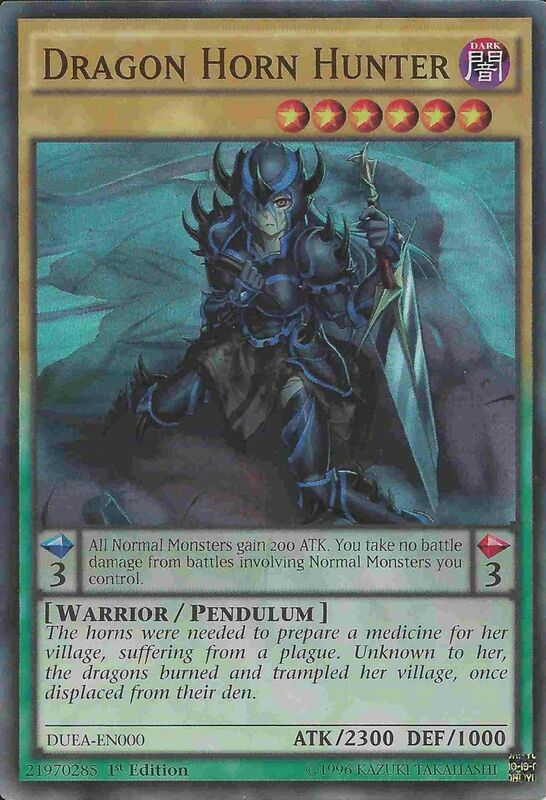 Additionally, if another D/D (again including D/D/D) monster is normal or special summoned to your field, Genghis lets you (once per turn) revive a D/D monster from your graveyard, a wonderful ability that drastically reduces the monster cost of summoning your extra deck creatures. Finally, during your turn, Genghis can (once per turn) negate the activation of a spell, trap, or effect, granting you a potent shield that lets you strike without fear of counters. 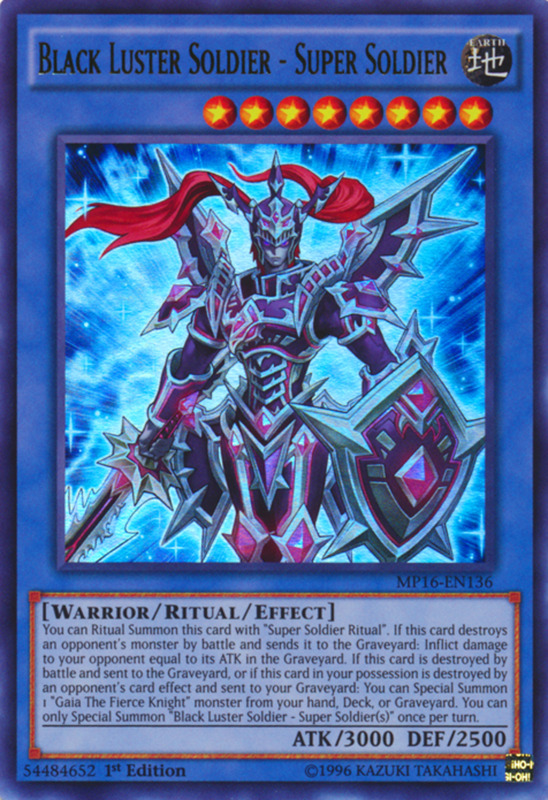 The D/D series took a big hit with the extra deck limitation rules (which debuted alongside link summoning), but Genghis softens the blow by easily special summoning monsters from the graveyard; these won't won't take up your extra deck zones even if they were originally summoned from the extra deck. The Performapals are an expansive archetype with several powerful pendulum monsters, and Gatlinghoul accepts any Performapal plus any level 5 or higher dark monster as materials, a broad range that leaves you with several options. Pro tip: use Performapal Odd-Eyes Dissolver, an impressive spellcaster who may count for either material. 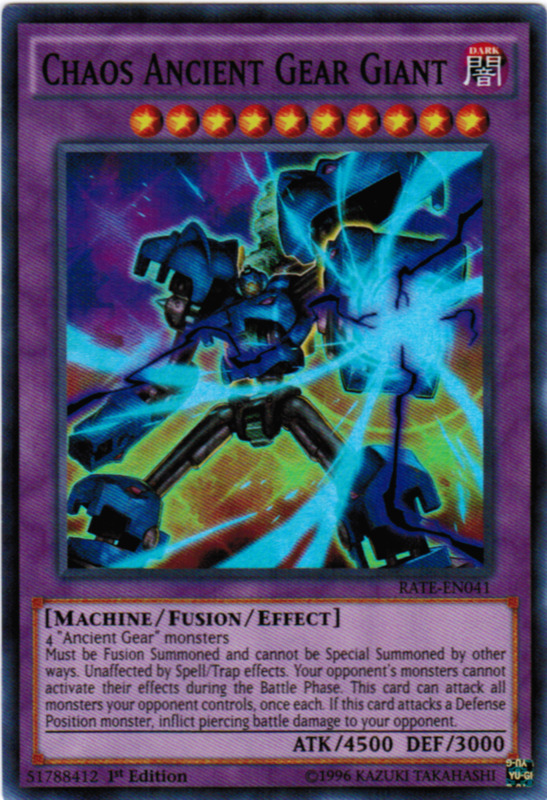 When fusion summoned, Gatlinghoul can inflict 200 damage to your opponent for every card on the field. 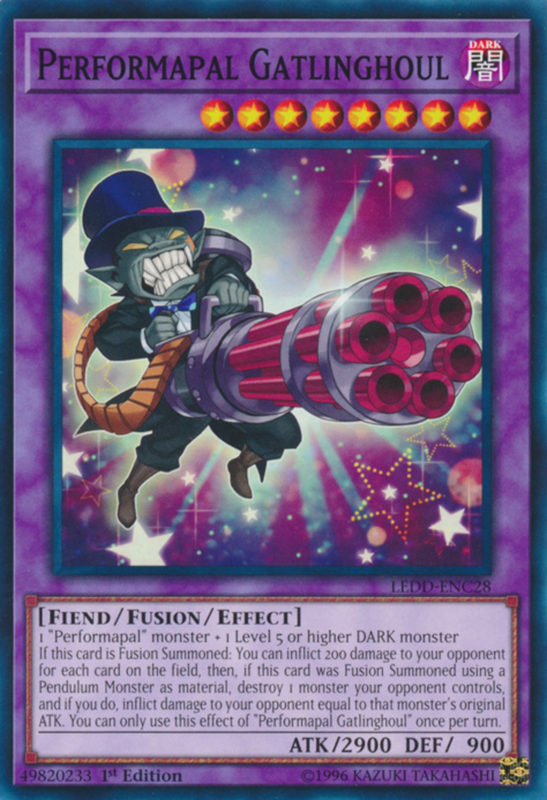 This usually amasses over 1000 burn damage, and if Gatlinghoul was fusion summoned with a pendulum monster as material (easy with the Performapals), you can then target and destroy a monster your opponent controls, inflicting damage to them equal to its original ATK! In short, Gatlinghoul offers an entrance burn, a monster removal/additional burn, and a daunting ATK of 2900. Throw in the Performapal name, granting access to the series-specific effects, and you've got one heck of a fiendish goblin. 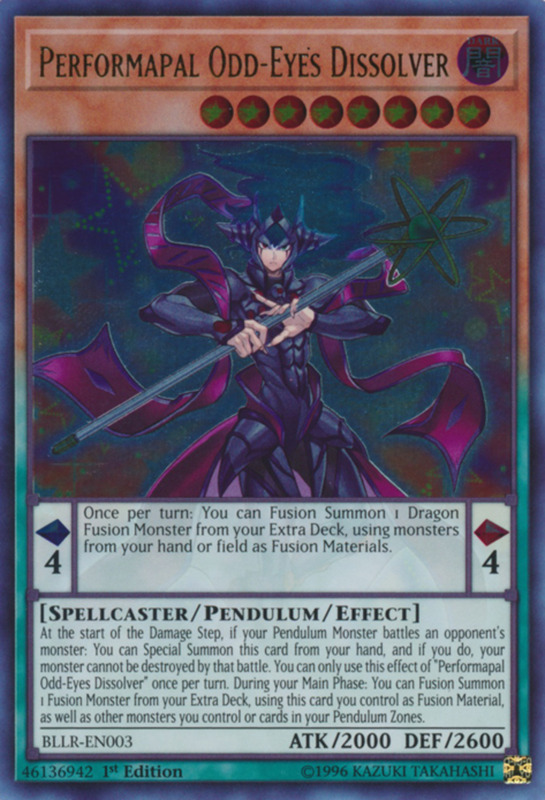 A rare fusion-pendulum blend, Odd-Eyes Venom Dragon must first be fusion summoned with any Starving Venom and Odd-Eyes monsters. Odd-Eyes are easy to fuse, but Starving Venom materials mean you'll be sacrificing an extra deck titan. Luckily, Venom is worth the price. In addition to a monstrous 3300 ATK, Odd-Eyes Venom can (once per turn) target a face-up opposing monster, gain its name and effects, and add its ATK to Venom's base stat! As if 3300 weren't lethal enough, your opponent won't last long against a 5000+ beatstick. And even if Venom in the monster zone is destroyed, it can special summon a monster from your pendulum zone, then take that pendulum zone, fielding an ally upon demise and giving access to a (desirably) low pendulum scale of 1. This scale can also (once per turn) increase the ATK of a fusion monster you control by 1000 for every opposing monster until the end of the turn, a brutal boost that further accentuates an already-amazing gargantuan. Fans are no doubt familiar with the infamous trap Mirror Force, the original day-ruiner who could destroy all opposing attack position monsters when one tried to attack. 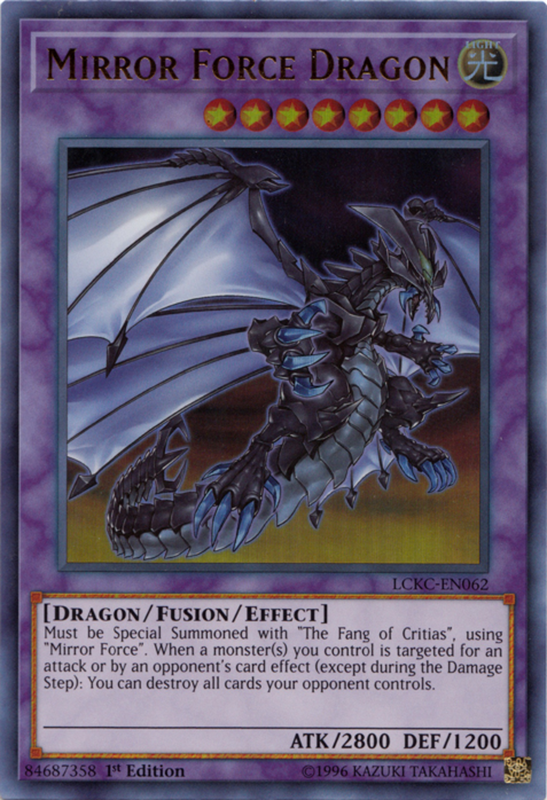 This card inspired Mirror Force Dragon, who bears the unique summoning requirement of using the spell The Fang of Critias and activating its effect by sending Mirror Force from the hand or field to the graveyard. Basically, it's a usual fusion summon, just with a spell and trap instead of monsters, although needing specific cards makes it a bit tricky. Still, a dominating 2800 ATK alongside one of the game's best abilities justifies the price. When a monster you control is targeted for an attack or by an opponent's card effect (except during the damage step), you can destroy all cards your opponent controls. This awesome mass-wipe improves upon the original Mirror Force by demolishing your opponent's entire field (spells and traps included) if they're dumb enough to attack/target your squad. Without the ability to do either, they'll need an uncommon non-targeting removal, and if they don't have one handy, you've basically shut down their entire strategy. There's not even a pesky "once per turn" limitation, so if they're suicidal enough to attack/target multiple times in a single move, just respond with as many nukes as you need. Unlike most monsters, Dinoster brandishes more DEF than ATK, bearing an impressive 2950 to endure all but the strongest blows. Thankfully, he's still got a respectable 2000 ATK if needed, but remember that having a strong monster in defense position can help survive counters like Drowning Mirror Force. Additionally, Dinoster doesn't need (and in fact can't use) a fusion spell; you simply tribute from the field his easy-to-find materials, a pendulum Dracoslayer and any pendulum monster at all. 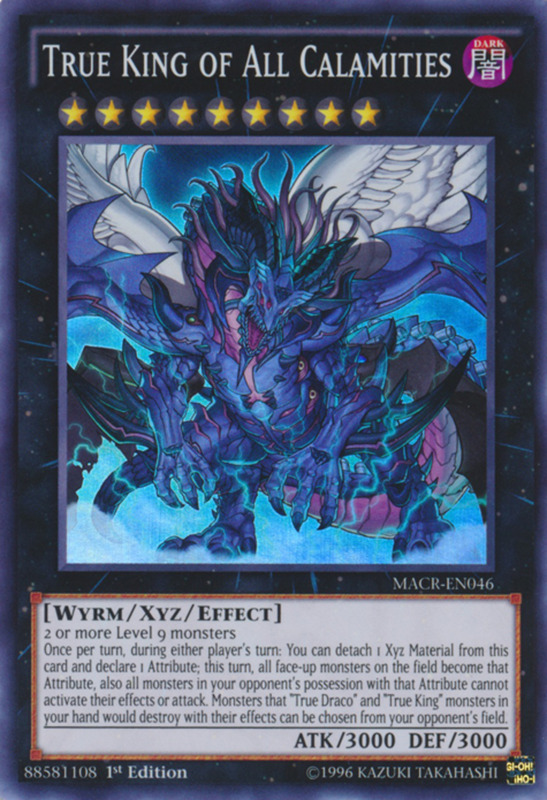 Additionally, Dinoster prevents your pendulum monsters and pendulum scales from being destroyed by battle or effect, a massive barrier that protects the archetype's most abundant monster type. 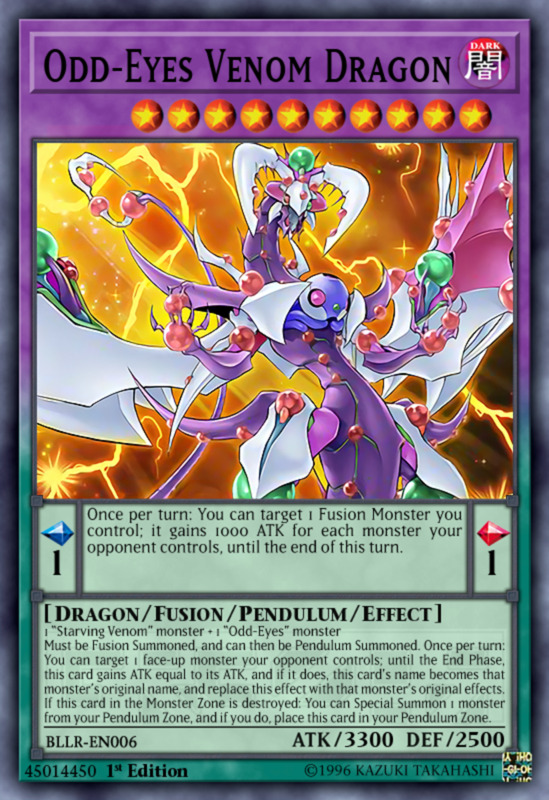 You can also once per turn special summon a Dracoslayer pendulum monster from your hand or graveyard, but it can't be used as fusion material. This is a small limitation that hardly diminishes a continuous revival ability (with ATK and effects left intact). In short, a defensive monstrosity that saves your fusion spells for other cards. 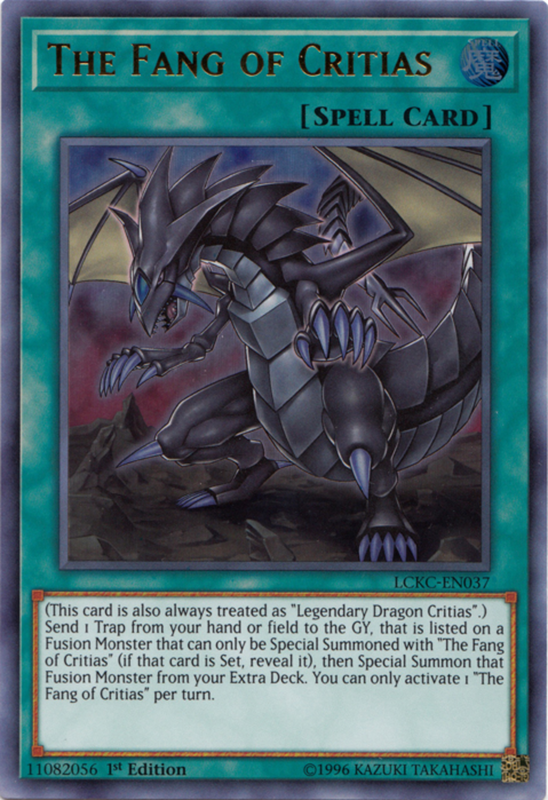 Needing any Predaplant and any level 8 (originally) or higher dark monster, Greedy Venom won't require too much effort to summon; the level 8 requirement can be met with many non-archetype cards like Tragoedia or Dark Magician of Chaos. This card can only be fusion summoned (no graveyard recycles), but it enjoys a superb 3300 ATK and can once per turn target a face-up monster, change its ATK to 0, and negate its effects until the end of the turn, a great net to dampen your adversary's best champions. Plus, Greedy Venom accesses a helpful exit effect, annihilating as many monsters on the field as possible when destroyed and sent to the graveyard. After that, you can (but don't have to) banish a level 8 or higher dark monster from your graveyard to revive Greedy Venom, an astounding rebirth that puts your dark material monster from before to good use and makes Greedy Venom annoyingly difficult to permanently remove. Materials: 3 copies of "Crimson Nova the Dark Cubic Lord"
Needing three specific monster materials, Crimson Nova's only downside is a challenging summoning demand. But if you can amass the listed monsters and play your titan, he'll soon prove his worth with an unholy 4500 ATK and 3000 DEF. He can only be fusion summoned, but cannot be targeted or destroyed by opposing effects, so once he's out, he's pretty persistent. Then, whenever Crimson Nova Trinity attacks, he halves your opponent's life points, and if he destroys a monster in battle, he can (once per turn) attack again during that battle phase! Not only does this swing at your opponent with a 4500 beatstick twice per turn, it twice halves their precious life points, meaning they're very likely to lose the turn he hits the field. As a final present, if you take effect damage, your opponent suffers the same amount, an especially welcome boon since it even includes self-inflicted damage. Overall, an absolutely superb monster who might have won today if he was a bit easier to summon. Imperion yada yada Battlebot also needs specific monster materials, but at least this time there's only two of 'em. 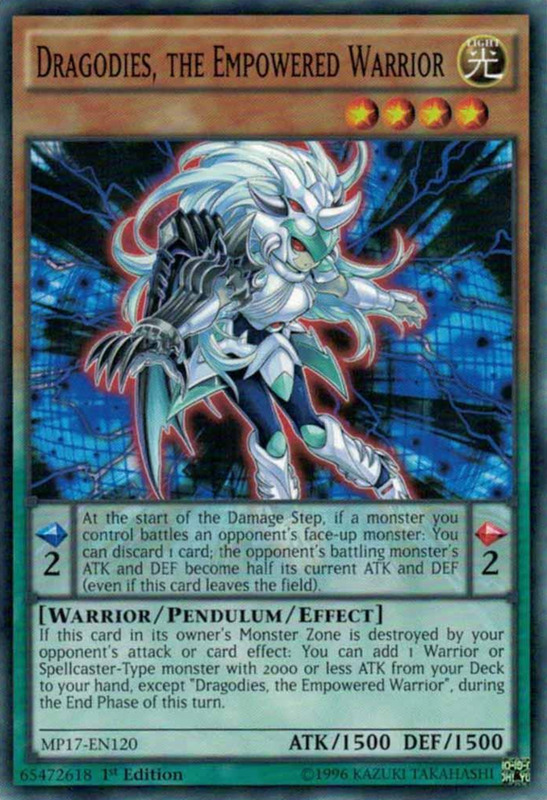 Employing a savage 4000 ATK and DEF, it'll excel in either position, but its real treat lies in an spectacular trait: once per turn, during both player's turns, Imperion can negate and destroy the activation of an opposing monster, spell, or trap effect. Basically, you're rejecting anything they throw at you once per turn, so they need to spend at least two removals back-to-back to eliminate Imperion. And even if face-up Imperion leaves the field through an opponent's card effect, you get to summon his two materials from your hand and/or deck, ignoring their summoning conditions. Few opponents can afford the necessary resources to take down Imperion, and even if they do, their cards should be depleted enough that the replacements Imperion summons upon demise ought to be well-equipped to finish them off. Undoubtedly one of the game's most feared gargantuans, like Crimson Nova, Chaos Ancient Gear Giant brandishes a whopping 4500 ATK and 3000 DEF. He must be fusion summoned, but is entirely unaffected by spells and traps, disregarding non-monster counters. Plus, your opponent's monster can't activate their effects during the battle phase, further shielding Chaos Giant (and your other units). Chaos Ancient Gear Giant can attack all monsters your opponent controls once each and inflicts piercing damage to defense position warriors, so your foe can't hide behind wall monsters. Their only real option should be non-battle-phase monster removals, and since most of those activate only on their turn, odds are good they won't last long enough to employ them. That said, Chaos Giant needs four Ancient Gear monsters, but accepts any from the archetype; use cards like Future Fusion to grab them all from your deck. An absolute must-have for Ancient Gear builds, I can't recommend Chaos Giant enough; you summon him, you probably win. Luckily, this spell/trap immune behemoth is available for surprisingly low prices less than two dollars! A final tip: as helpful as his immunities are, remember that he ignores your spells and traps too, so don't try (and fail) to boost him with quick-plays like Limiter Removal or other machine shenanigans. Gotta hand it to Konami, they've done an admirable job introducing newer monster types while providing support to older ones, giving duelists of any preference a number of competitive options. 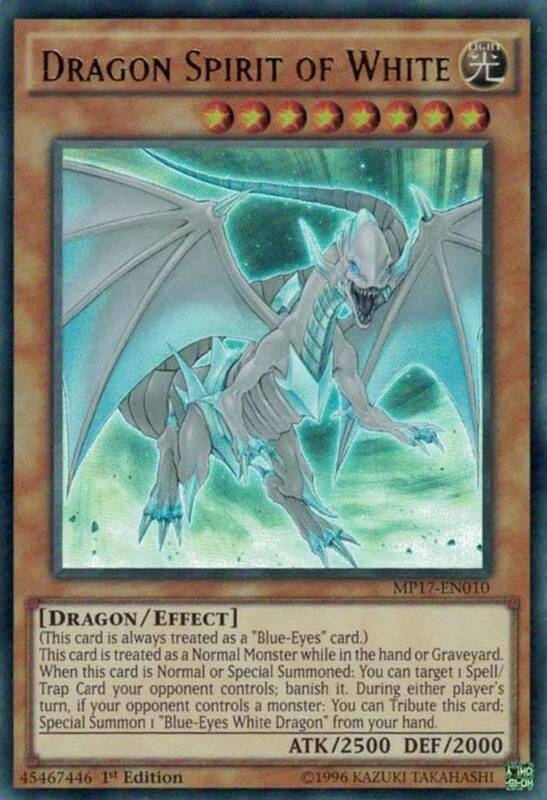 From old classics like Blue-Eyes Ultimate Dragon to newer additions like Chaos Giant, fusion monsters have long been a prominent force in duel monsters that we'll undoubtedly see more of in the future. But for now, as we eagerly await Konami's next expansions of monster-mixing warriors, vote for your favorite fusion card, feel free to browse the FAQ below, and I'll see you at our next Yu-Gi-Oh countdown! 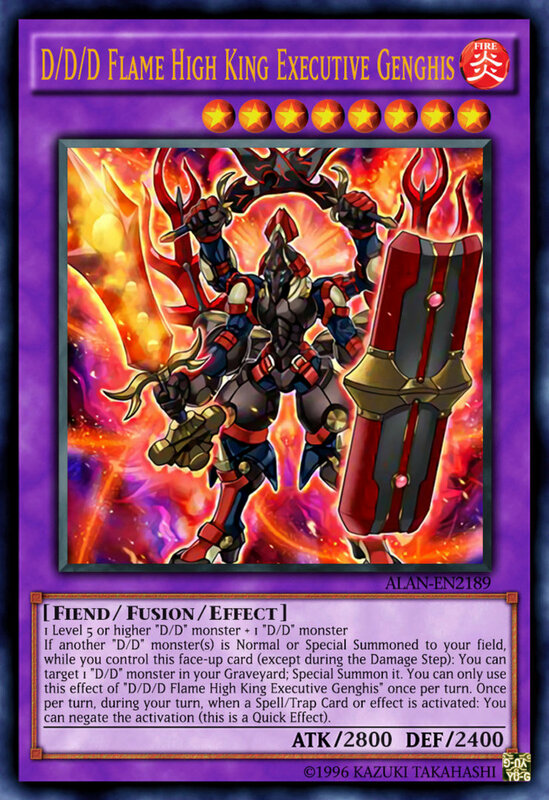 Can fusion monsters go in the main deck? Nope, only in the extra deck. Like other extra deck cards, if they're returned to your hand from the field, they actually return to the extra deck (since they can never be in your hand). How many fusion monsters can I put in my extra deck? You can have up to 15 extra deck monsters, and up to three copies of the same monster, unless it's semi-limited, limited, or forbidden (allowing 2, 1, and 0 copies respectively). How do I fusion summon? Use Polymerization or a separate fusion spell and tribute the listed fusion materials from your hand or field. Where can I find a list of fusion monsters? Try the Yu-Gi-Oh wiki, though you'll need to specify the search if you don't want to browse through hundreds of cards. 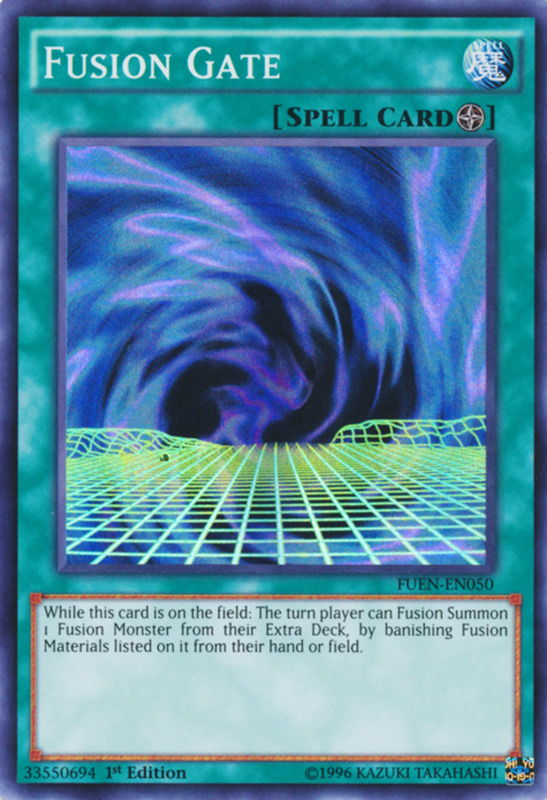 Why did Konami invent a dumb word like Polymerization and not just use the Japanese translation of Fusion? To the two people in the entire world who ever asked this, Polymerization is actually a real word, but I certainly agree it's not as catchy. Still, we're talking about the same company that translated the "Satan Claus" into "Santa Claws". Puns and censorship matter more than accuracy. Armityle's three specific fusion materials and lack of defenses against effects make him more trouble than he's worth, in my humble opinion. Supreme King Z-ARC is much better (auto field-wipe upon entrance! ), but summoning him also takes quite a bit of effort. 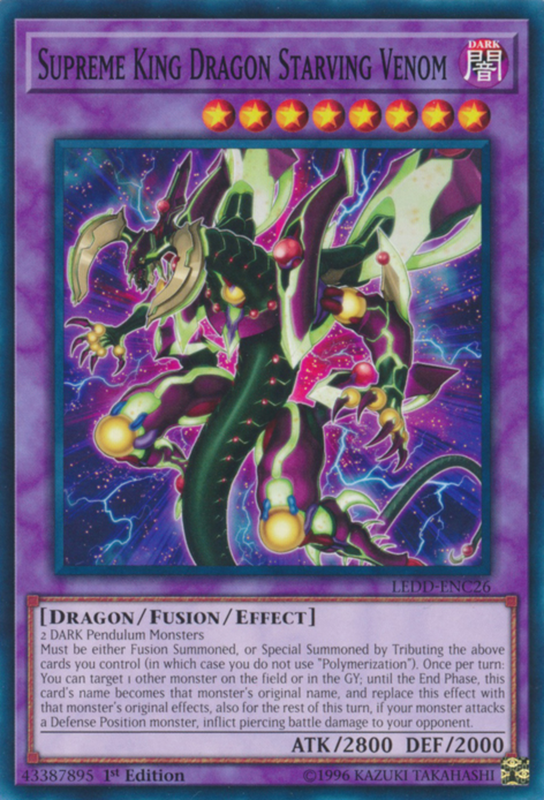 Contact and union fusions definitely aren't as prominent as they once were, but for what it's worth, cards like "Dinoster Power, the Mighty Dracoslayer" are still going strong, so there's hope. Nice list. But what about Armityle the chaos phantom and supreme king Zarc? Shining Flare's abilities are nice, but just can't compare to these guys' effects. Also, he needs two specific monsters as material, and one of those is in itself a fusion monster, making him trickier to summon than most fusion units. I know that it goes only for a certain archetype but I have to ask, what about Elemental HERO Shining Flare Wingman? Chaos Ancient Gear Too Giant and Crimson Nova Trinity are definetely two of the most powerful and fearsome fusion monster ever created, not only because they deals a hell of damage to their oppoent but also both of them has an extreme protection effect in their kit. Crimson Nova Trinity (everytime I said the name I can already feel like I am the best villain) most of the time will "gently" blow 3/4 of your life point away (even more significant since I mostly play tag duel), and then just end the duel with it's monstrous attack that put Lunalight Leo Dancer (another of my favorite fusion beater) in shame. And then we have the last effect? CAGG make me sweat bullet the moment I saw him in the anime, and even more when I read the actual card effect. 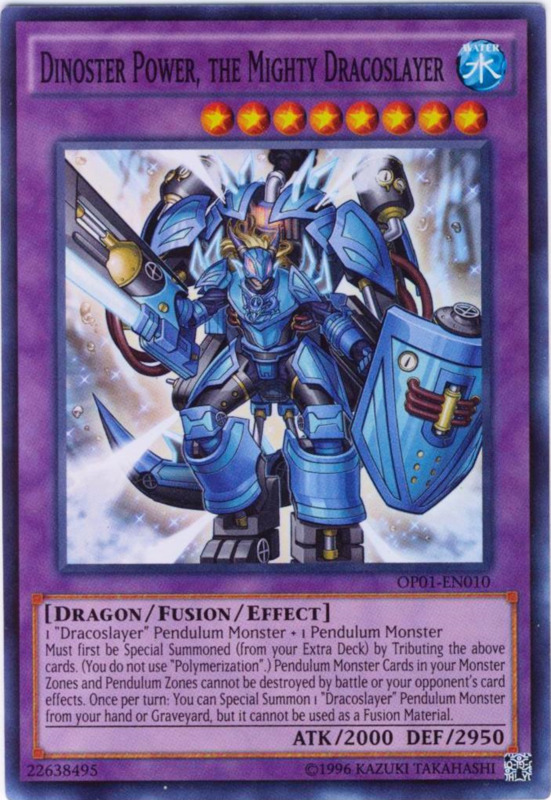 He is relative easy to summon with the Catapult + Fortress to Wyvern + Box combo, and now even more easy with E-Hero Prisma and Ancient Gear Fusion. He punch so hard, has "but you still take the damage" clause, and just keep punching till forever. 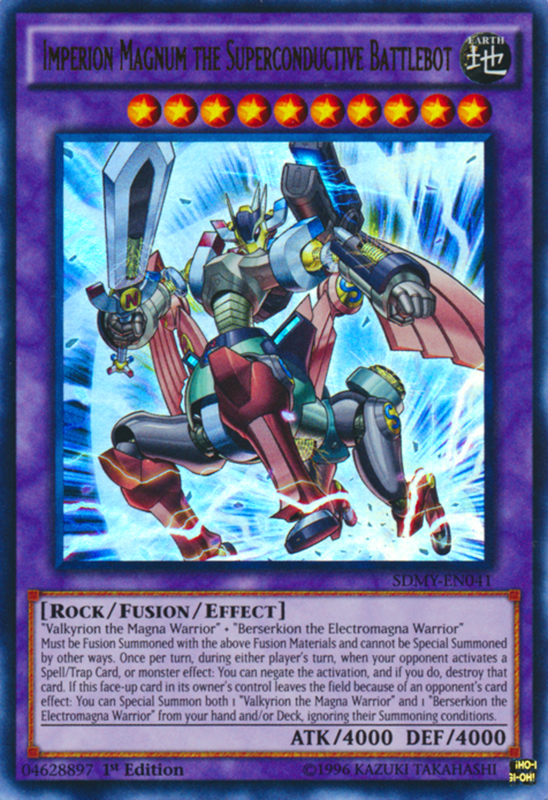 And finally the infamous Power Bond that everytime I active the spell, I can already feel the sound of gears and engines pumping up when those ancient war machines bonding their power and material together to create the absolute war machine of destruction and hear his war cry that wreck the hell out of my opponent's monsters.